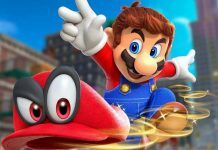 While the online community is abuzz with Nintendo rumors, several rumors claim that the upcoming Nintendo console features a handheld console design, augmented reality tech and detachable motion controllers with advanced force feedback. Emily Rogers, the famous Nintendo tipster recently shared three new tweets with claims about the Nintendo NX. For starters, the Nintendo NX prototype console features a 6.2-inch 720p multi-touch screen. 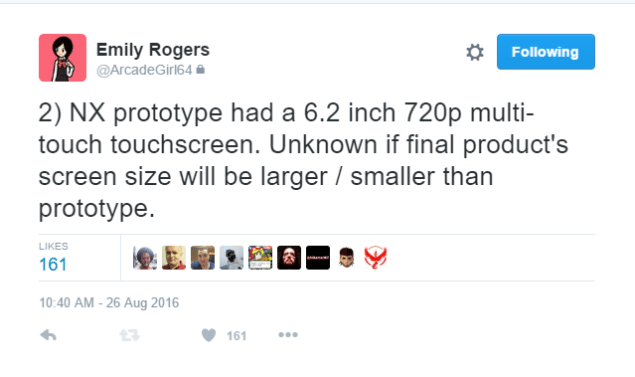 That’s the prototype size – the final console screen size may vary slightly. 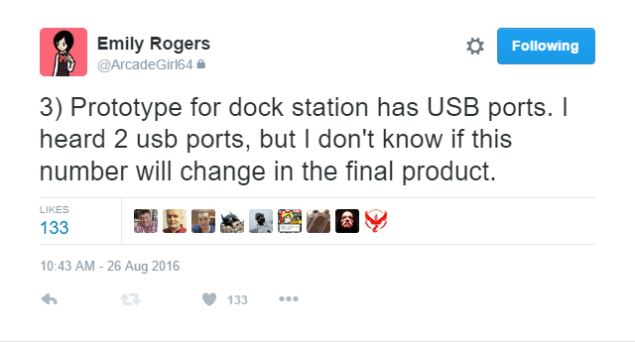 Emily Rogers also tweeted about the USB dock station feature in the upcoming Nintendo NX. The USB dock station will possibly have two USB ports. The number of ports may be more or remain the same in the final product. The final tweet talks about MCV’s report on GameFreak being involved with NX. Emily says the report does have some truth to it. 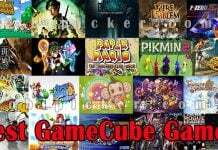 GameFreak, the maker of Nintendo’s several titles, intends to bring a game to the NX console. Rumors are hinting at a Pokemon title by GameFreak in the upcoming Nintendo NX. These tweets must, however, be taken with a grain of salt. The official announcement about the Nintendo NX specs and details is expected soon. 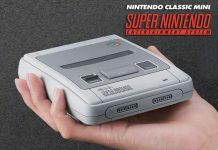 While the Nintendo NX is set to come out in March next year, Nintendo President Reggie has assured that the console library will have a huge collection of games and will even include the upcoming Zelda game. 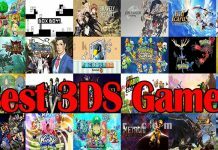 Pokemon Sun and Moon, Ever Oasis, Mario Party and Legend of Zelda: Breath of the Wild are likely candidates in the library of games. He went on to add that the release of Sony and Microsoft’s new consoles will have no effect on NX’s launch. 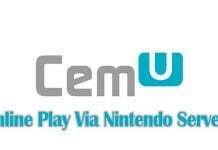 What are your thoughts about the upcoming Nintendo NX? 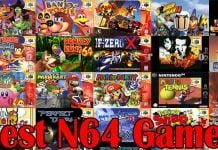 Which games do you want the console library to have? Let us know!